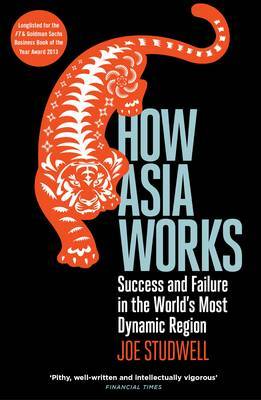 Until the catastrophic economic crisis of the late 1990s, East Asia was perceived as a monolithic success story. But heady economic growth rates masked the most divided continent in the world - one half the most extraordinary developmental success story ever seen, the other half a paper tiger. Joe Studwell explores how policies ridiculed by economists created titans in Japan, Korea and Taiwan, and are now behind the rise of China, while the best advice the West could offer sold its allies in South-East Asia down the economic river. The first book to offer an Asia-wide deconstruction of success and failure in economic development, Studwell's latest work is provocative and iconoclastic - and sobering reading for most of the world's developing countries. How Asia Works is a must-read book that packs powerful insights about the world's most misunderstood continent.